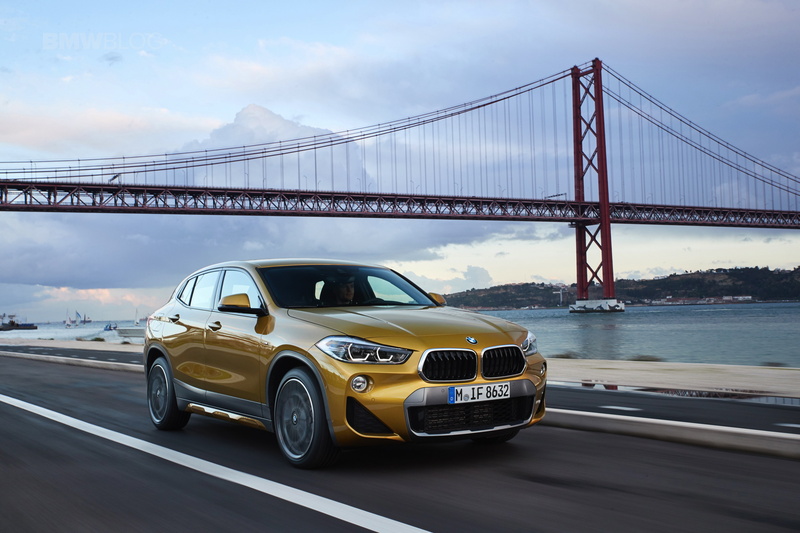 When BMW announced a new SUV two years ago in Paris, many wondered whether the world needs another SUV, let alone the Bavarians. But fast forward two years later and the SUV craze just got bigger and every automaker is rushing to add more crossovers to their lineup. Mercedes has no less than seven SUVs in its range, with Audi and BMW not far behind – and all three have more on the way in the next 12 months. 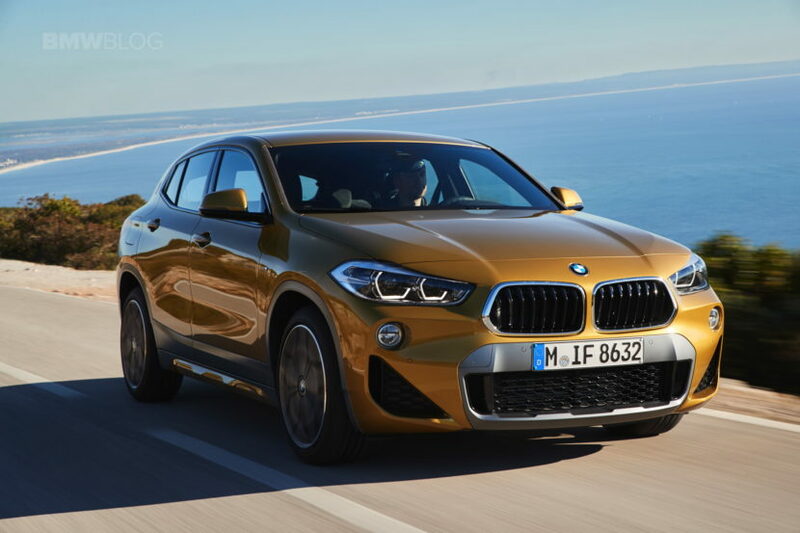 So the addition of the BMW X2 now seems like it has been a smart play by the bosses in Munich. The BMW X cars have accounted for 5.5 million sales since the first X5 made its debut in 1999. X model sales were up an impressive 34 percent in 2017, with an increase of 9.6 percent in December 2017 alone. Two generations of X1 have sold to 286,661 customers since 2011, and the current model is now the second best selling X model, with sales up 30 percent since 2016. 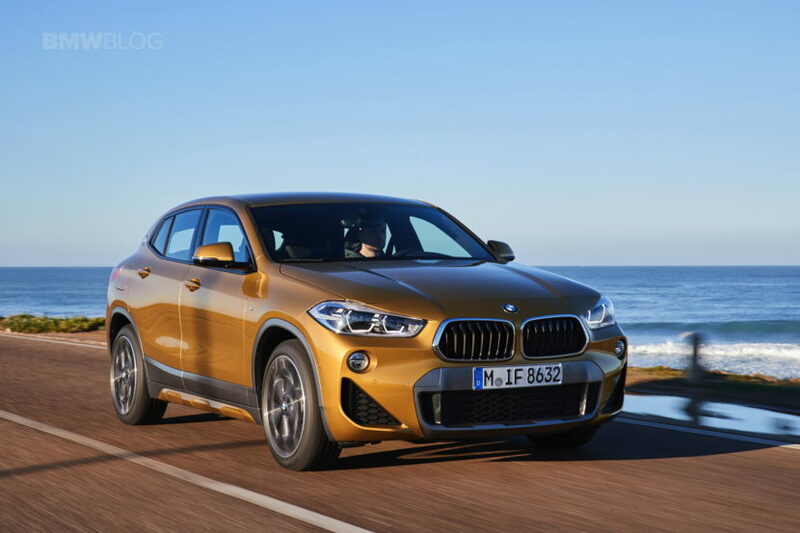 Just like its counterparts – X4 and X6 – the new X2 comes to fill a small void in the extremely successful X lineup, yet it has more potential to become a real money maker for BMW. 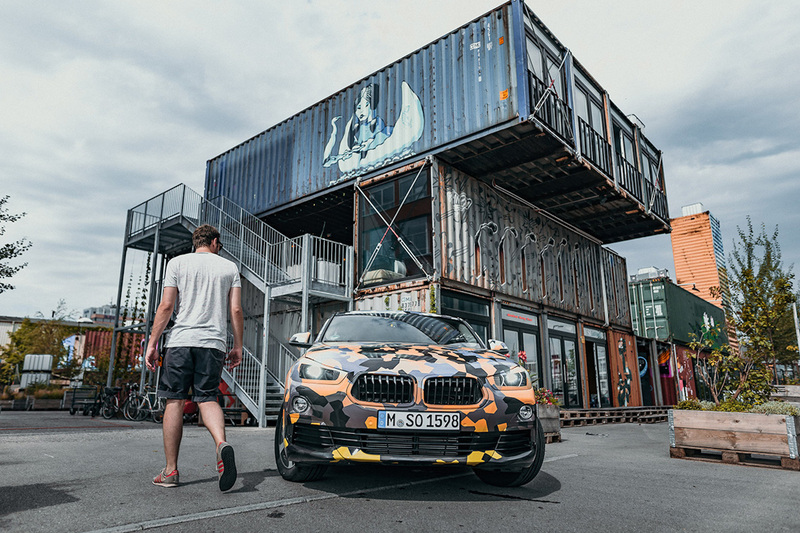 The small, stylish, urban crossover targets young car buyers, potentially opening up a new sales venue, especially since the Bavarians have come up with a car that might be able to appeal to both audiences, millennials and enthusiasts. So last week, we happened to be on the Old Continent when an invite from BMW hit our inbox asking us to attend the European Media Drives of the new X2 SAV. 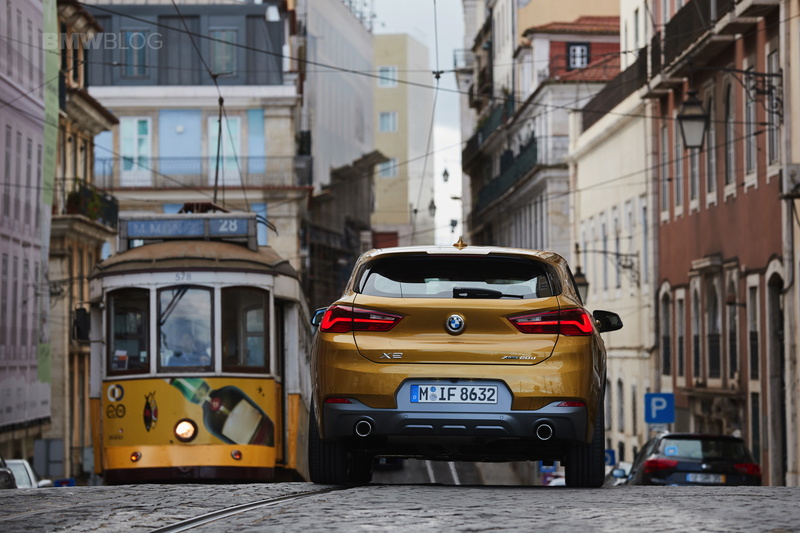 Despite featuring a Diesel engine which is not likely to arrive to the United States, we decided to give it a go and head over to Portugal to sample the quirkiest and most hipsterish BMW crossover to date. The X2 rides on the same front-drive UKL architecture that underpins the X1 along with the entire MINI family. It’s 79mm shorter, 3mm wider and 72mm lower than the X1 – at 4360mm long, 1824mm wide and 1526mm high – even though it retains the same 2670mm wheelbase. 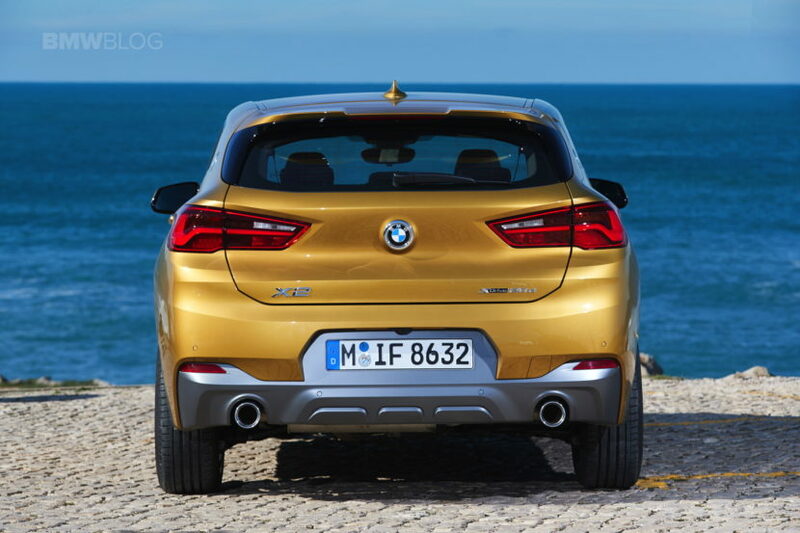 Having said that, BMW has made the X2 sportier, more aggressive and more stylish than its donor car. It’s immediately recognizable from its sibling, thanks to a lower ride height, wider stance and more aggressive styling. The roof is more aggressively raked and it comes with large front air intakes. It’s also smaller, full-stop, making it seem more nimble. Even the boot is practical by losing only 35 litres in volume compared with the X1, at 470 litres. 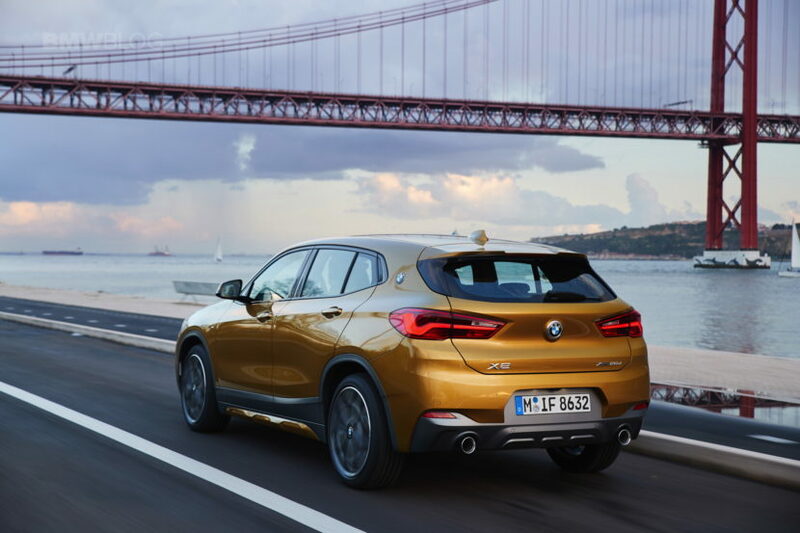 So while you’re inclined to believe that the BMW X2 is just for people who order multi-grain, organic, soy-bean coffee while wearing free-range, locally-sourced, handmade hemp t-shirts, the story of the X2 is a bit more complex. Underneath, the X2 is a very different vehicle than the X1, despite sharing the platform. The suspension and the chassis are tuned special for the X2; the bushings in the front end is tuned for the X2 and there’s more negative camber. 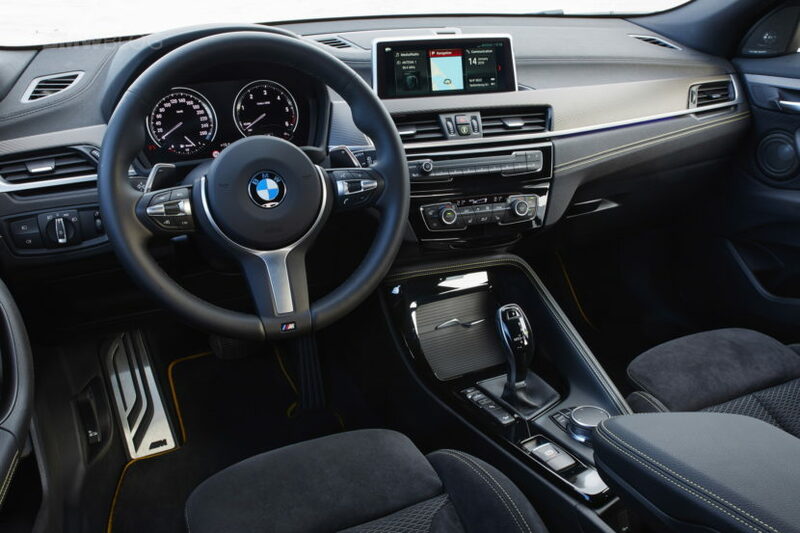 It also employs your traditional suspension, with fixed spring and damper rates, but at the same time, BMW offers an M Sport suspension which lowers the ride height by 10mm, and has variable dampers. So from the start, the X2 is on paper more fun to drive than its brother. To test those assumptions, BMW handed over the keys to a Galvanic Gold X2 xDrive20d, a configuration that might be the staple of the range. Our test cars were the M Sport X version, equipped with 8.0J x 19-inch wheels shod with 225/45ZR19 tires. Big wheels for a compact car which can only improve its looks. The engine is known from other BMW cars and the 2.0 liter turbocharged four-cylinder diesel makes 190 hp and 295 lb-ft of torque. 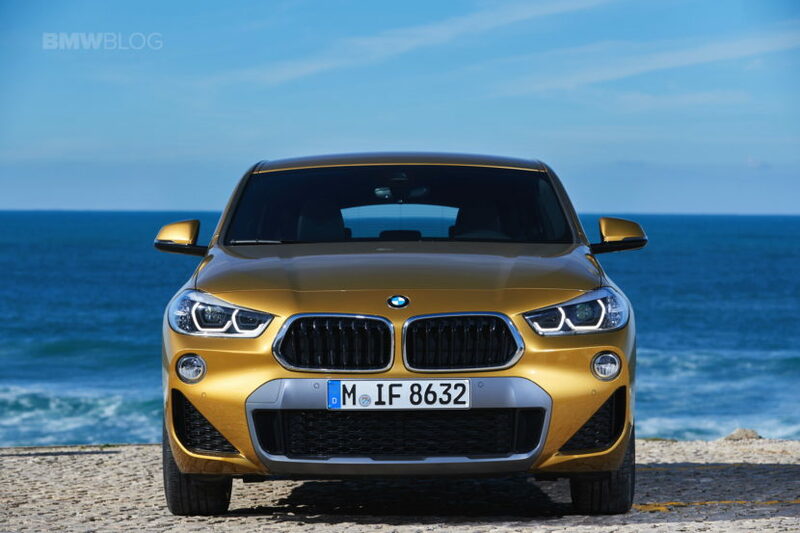 The new “M Sport X” trim level supposedly brings accents from both M Sport and X Line trims. So it looks like an X2 M Sport but with its side skirts, bumper and wheel arch trim in Frozen Grey. This makes it look a bit more rugged while its front air intakes look sporty. Small changes, but effective. Now it’s Saturday morning and we’re in the beautiful area of Belem, Lisbon, where one of the main attractions is the infamous Pasteis De Belem, so it’s only suitable to grab a few Portuguese egg tart pastries, a cup of coffee and some “smart water” before we head out on the now familiar Lisbon roads. This is our sixth test drive here in a 12 months span, but compared to our previous adventures, the roads are now empty in the early and sunny morning. Our 200 kilometer route plans to take us through the city of Lisbon, before heading out to the country side and onto some of the most magnificent driving roads in the world along the Atlantic coast. 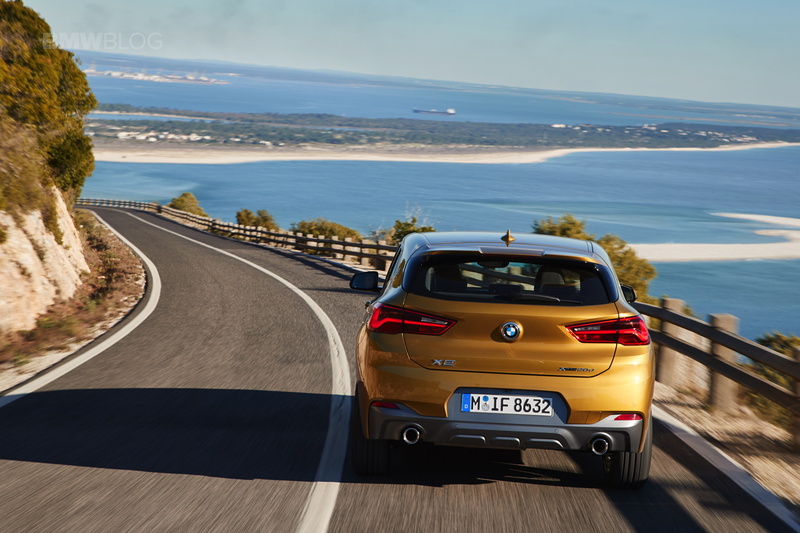 On the twisty backroads outside of Lisbon is where we first start to notice the driving differences from the X1. The level of cornering is certainly improved over the X1, the X2 feels more composed and fun to drive. 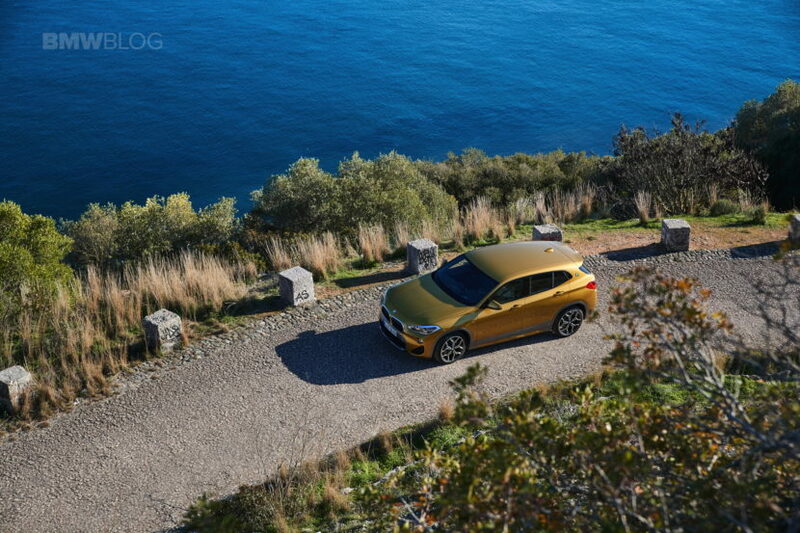 BMW’s newest SUV manages a decent balance of agility and grip, connecting perfectly with the equally perfectly paved Portugal’s roads. In spite of its 1675kg kerb weight, the X2 holds a tight line through corners, aided by the 10 mm lower ride height and the additional tuning of the chassis. Therefore, the steering also gets a bit more feedback than the X1, but don’t expect an M-like feel. Not just yet. 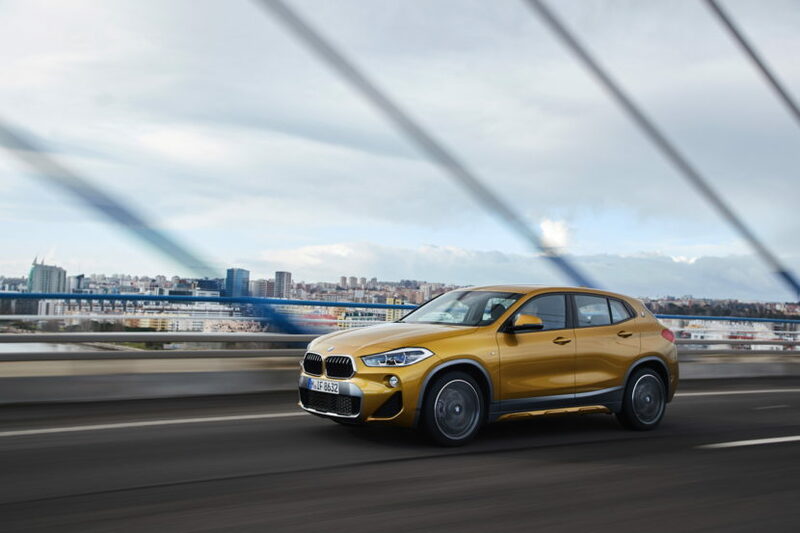 The dimensions of the X2 and its different chassis setup lead to a firmer feel on the road, particularly when travelling at low speeds and with large wheels. The occupants aren’t isolated from the surface as deftly as they are in the X1, but maybe that’s what will make some people choose it over the X1. Again, this car is not supposed to be just a coupe version of the X1. The engine’s character is what you expect from a four-banger, a slight turbo lag when it gets going, followed by a bucket load of torque in the mid revs where the unit becomes more responsive and eager to please. The top end is not as revvy as we’d like, but we might be a bit biased here since we got to adore the larger diesel displacements. Yet paired with the smooth and well-known eight-speed automatic, this combination is what keeps diesel popular in Europe. Of course, that and the claimed 4.8 liter/100km combined (European cycle) through a mix of roads. Our sporty drive returned a fuel economy of 5.5 liter per 100 km, expected considering we pushed the car as hard as we could through the fun and curvy roads. As always, we did most of the driving in Sport mode and doing the shifting via the steering wheel paddles, keeping with the true spirit of the car. At 6″3 (190 cm) I’m on the upper end of the height chart, yet the X2 feels spacious enough upfront and slightly tight in the back where the headroom is about 4 centimeters. 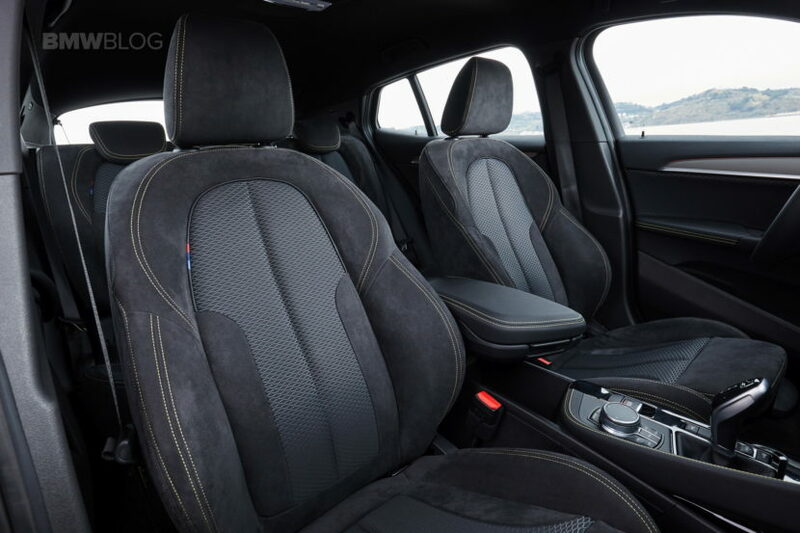 There is plenty of knee room while driving and the Alcantara, two-tone stitched sport seats hug my body perfectly during those tight corners where a slight body roll of the X2 can be felt. 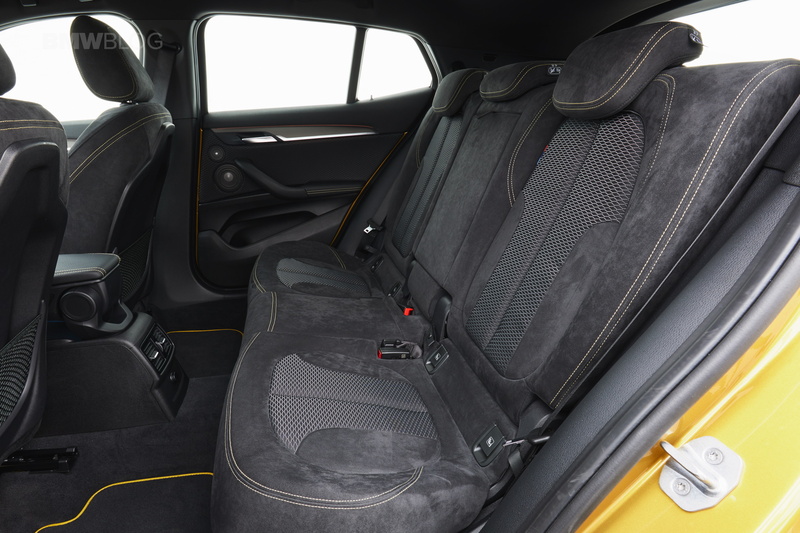 It’s certainly worth mentioning how nice the Alcantara feels and honestly that would be our first option, especially since it’s offered as standard on seats in Europe. 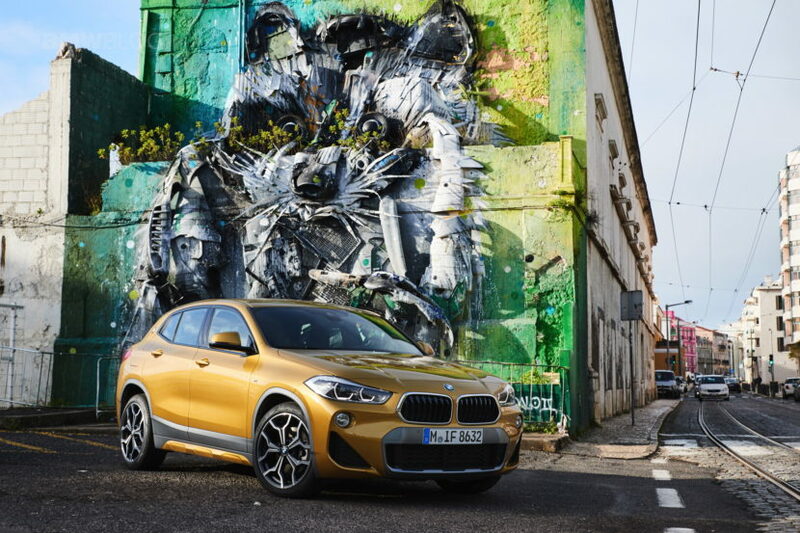 A copy like the BMW X2 xDrive20d driven by us with M Sport X package and extensive equipment effortlessly cracks the 50,000 euro mark and might prove a tough pill to swallow by some customers, so we see cost as the biggest hurdle in its mainstream adoption. The most obvious target for the X2 is the Mercedes-Benz GLA, the Audi Q2 (even though the Q3 is closer in size), the upcoming Jaguar E-Pace, Range Rover Evoque and even the Volvo XC40. We told you it’s a crowded and growing segment, but the X2 has the right ingredients to win over many of those unconventional drivers. Later this month we will have the chance to test drive the only US-bound X2, the 2018 xDrive28i and we will share our new impressions with you. 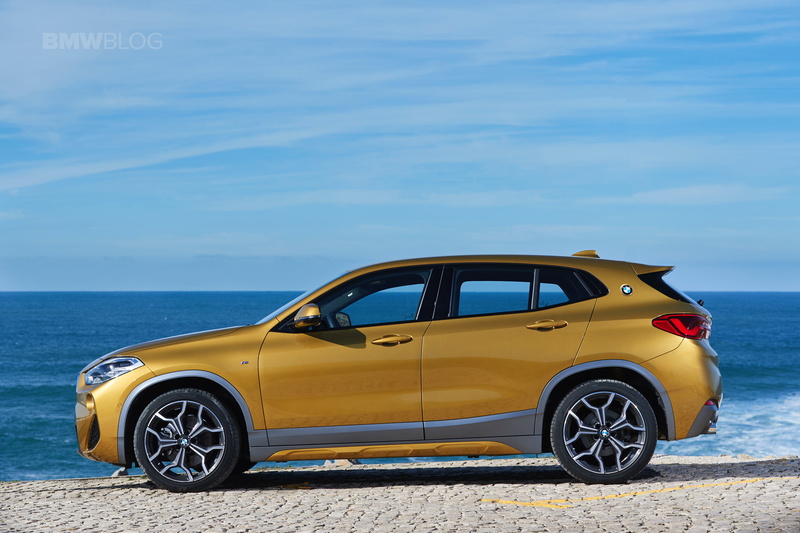 The most obvious target for the X2 is the Mercedes-Benz GLA, the Audi Q2 (even though the Q3 is closer in size), the upcoming Jaguar E-Pace, Range Rover Evoque and even the Volvo XC40. We told you it's a crowded and growing segment, but the X2 has the right ingredients to win over many of those unconventional drivers. Next post Should You Use Your BMW as an Uber?